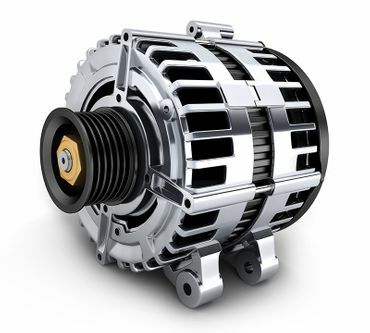 Starter Repairs St. John’s | Home | Alternator Exchange Ltd.
We offer the best alternator and starter service backed by a solid guarantee on workmanship. A reliable car requires a reliable start, and at Alternator Exchange Ltd. we have the parts and experience to keep you on the road. Whether you need a 6 volt system for an antique vehicle, or a robust 32 volt system for your marine equipment, we’ve seen it and we can fix it. Since 1987, we’ve specialized in starter repairs in St. John’s for all kinds of vehicles, and we back up our work with a 12-month guarantee. We service all of Newfoundland and Labrador. Come see us today. Why do we get business from other service garages? Because they know we can supply what they need –fast. We’re experienced at rebuilding alternators and starting motors, and we keep a wide variety of in-stock parts from most major suppliers to ensure our customers don’t wait long for the repair they need. Whether it’s the family car or your heavy-duty marine motor, we want to make sure you’re getting the right fix. Not sure it’s a problem with the alternator? Call us and we’ll help you troubleshoot over the phone. If you’re still not sure, bring it in and we’ll take a look ourselves. And for customers in the metro area, we’ll even pick your vehicle up. 30 years of experience repairing and rebuilding alternators and starters.